With impatient anxiousness I was waiting for the helicopter to land at the Bhaku helipad, for I was finally leaving to Lachen for my project. I was introduced to the UNDP official Mayura, and another consultant Raj Basu, who were going to be my accomplices on the journey. The initial part of the drive is simply amazing as it passes through thick evergreen (sub temperate) forests bejeweled with numerous waterfalls. 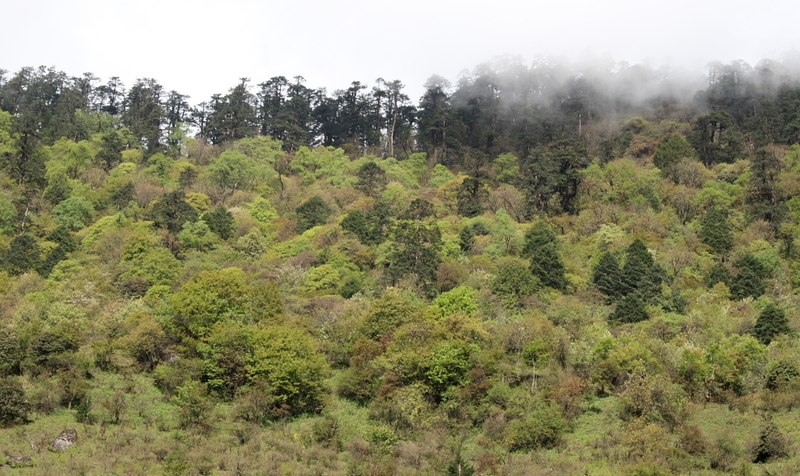 I was awestruck at the sight of such lush green forests even though from a distance. Our conversation wavered from Lachen and its people, to the hydel project on Tista, to other community based projects. During this course I was to find out that Raj had been working in the environmental and community based tourism field since the past 21 years all around the North East and was an extremely knowledgeable person. Our five and a half hour journey brought us to Lachen at 8.30 in the night, whence we were greeted by the pipon and Nima. A bright sun was already staring me in my face, leaving me no option but to wake up by 5.30. Took a small walk around the village and the first think I noticed was that it really wasn’t as small and rural as I had thought it to be. Post breakfast we had a meeting with the village council in which Raj spoke about his thoughts on ways and means to increase the tourist inflow and increase profitability of the hoteliers. Later Mayura, Raj, Nima and Myself were taken around the village by Tshering who would also assist and help me in my work in Lachen. Our walk started with a tour of the monastery which is amazingly beautiful, the resident monk explained to us the significance of some of the paintings and statues within the monastery. Later, Nimbum the thanka painter of Lachen also joined us and invited us to tea where he was explaining to us the intricacies of painting a thanka. From here we went down the gompa road to the Tourist Information Centre which was shut ( no surprises here) and when we had it opened they hardly had any information and all their broachers and books were years old (still no surprises). It seemed that the TIC was the most unfriendly and unlikely place from where a tourist could get any sort of information. Since it was not being put to use we decided to have the interpretation centre for Lachen in their premise. The remaining part of the day was spent in more discussions and brain storming for improving upon the benefits of tourism to the people. Project backgroundWill digress a bit over here to give a brief background on the project currently going on in Lachen. The Ministry of Tourism and UNDP (United Nations Development Program) are executing a project in Lachen to promote a more sustainable and equitable form of tourism, thus improving the livelihood of the people. The NGO I am volunteering for, namely TMI (The Mountain Institute) is assisting UNDP in executing the project on ground. It has taken a better part of two years in just developing relationship and trust with the local people over here to finally get the project running from May. The people of Lachen are a very closed community and they don’t speak to people outside or open up easily, and since they have their own system of local governance even the government can’t do much over here. But things have finally started rolling and the new village chief is eager to get the project going. My role over here is to develop a guide book about the place and the people , help out in developing the website and do a recci around places in Lachen, which have a good tourist potential. Besides this am also helping out in driving the ‘zero waste’ program, and making a sort of Interpretation Centre. To assist me in my work over here a girl named Tshering has been assigned to me. A graduate in Political Science with budding enthusiasm to work towards the betterment of her village, she represents the new face of Lachen. Along with her I met up with quite a few people to document their food, culture and history which till now has been the most difficult part as nobody is sure about their history and it remains a gray area. A lot of help and information has been provided to me by the postmaster Rinzing Chewang, who has painstakingly and meticulously recorded the customs, culture, governance system and travel places over the years. I spent many of my evenings in his ever enthusiastic company, talking about anything and everything related to Lachen, thus learning a lot in the process. Lachen is located at an altitude of 8838 feet in the North district of Sikkim. The village has seen a good deal of expansion in the recent past, with around 180 households and around 20 hotels; not really as small as I had initially expected it to be. The locals, who are Bhutias by race originally came from Chumbi valley in Tibet and the Ha valley in Bhutan, sometime in the 17th century (or so it is believed). Being herders they led a nomadic life , staying in Lachen during winters and moving up to Thangu during the summer months. Till a few years back the entire village would move to Thangu in summer but now since most people have a settled life only the herders move up. The most unique feature about Lachen is it’ administration and local governance system called Dzumsa which literally means the meeting place. This system of self governance was introduced sometime in the beginning of the 19th century and even after the panchayat system was introduced all over Sikkim it was not imposed in Lachen and Lachung, thus the Dzumsa system continues to function till this day. The Dzumsa is a group of people chosen by the villagers to represent them and manage the village affairs. The council of representatives known as lehyan consists of two pipons who are the head of the village, assisted by five village elders called gyambos , two treasurers called tsipos , two messengers gyapons and three elder monks. This council or lheyan is changed every year unless the villagers wish to renew their mandate. Traditionally the Dzumsa system came into existence to organize and regulate the people while dispensing the benefits to the entire community. The Dzumsa not only determines the code of conduct of all individuals in social as well as economic issues but also implements and monitors them, while collecting fines from those who break the norms and rules. The Dzumsa performs all the developmental functions that are assigned to the panchayats in other areas and also have customary judicial power for trial of cases in their respective villages. To increase my understanding of the people and to build up a relationship with them I was staying with the family of the ex-pipon (village head) Gokey Lachenpa. The family has been most kind and hospitable and ensured that I am always fed to death (which is so typical of us Indians). 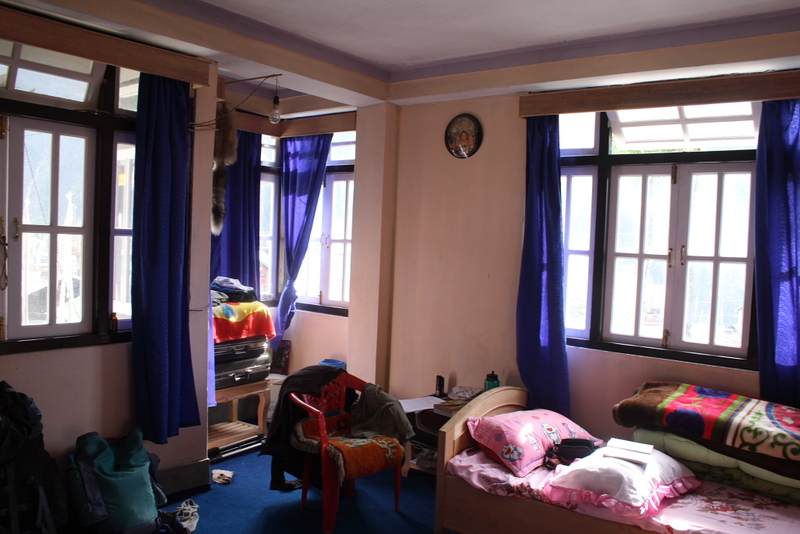 They have provided me a spacious and airy bedroom which I share with his elder son Tashi,and now seems to be the envy of many people who have seen it. Both his sons , Tashi and Jigme became quite friendly with me and were nice company whenever I felt bored. The first evening I was offered (read as literally coaxed) into have a glass of whiskey with Gokey to which I finally (or more willingly) acceded. Since there was no electricity we had a long conversation, in the amber-yellow light of the hearth, ranging from the history about the people to his hopes and aspirations from this project. The following night I was made to have the tumba which is a fermented millet beer. The tumba has a great social importance in the Bhutia culture and is drunk on all occasions or whenever a guest comes to visit somebody. The tumba is traditionally served in a wooden cask with dry fermented millet inside, over which hot water is poured and sipped from a bamboo straw. Every now and then someone will come and pour more hot water to get the juice out of the millet taking quite a long time to finish it, as a result long chats and discussions taking place over it thus stimulating their socializing culture. The weather almost had a fixed pattern with it being bright and sunny in the mornings, and the clouds enveloping the entire valley in its mystique charm in the afternoon. But there were occasional days when it would be dull and gloomy raining the entire day, on which I would sit down and read having endless cups of salt tea with khabze, in front of the warm hearth. I found it very strange that in the upper reaches of Sikkim people mostly have their tea with salt, the tea is prepared in the same way just that instead of sugar they add salt, which is always served with local snacks made of maida called khabze. Most of my mornings and many afternoons I would venture out for a walk in the tranquil and green paradise above the gompa. There are two routes over here, one which goes straight up towards a small settlement of herders which was my favourite morning walk, for when the first rays of the sun kissed these slopes the entire world radiated. Greens of all different shades dotted with whites and red would give a very noble and soothing character to the slopes. The play of colors left me absolutely spell bound and infused life into me such that I had never know. The second one turned to the left and went inside the valley, ridden with majestic oaks and slender pines. This was more of a bird trail with birds of all different kinds singing melodiously as though one were listening to a choir in an amphitheater. I spent many afternoons listening to the different tunes played by these melodic creatures, such a pity that I am quite ruefully ignorant about them. The most frustrating movement came when I was coordinating and working on the garbage clean-up drive. As a part of the project UNDP is implementing a concept called ‘Zero Waste’ in Lachen. It’ a wonderful concept and a very important one and something which concerns all of us; I will dwell into this topic in more detail at a later date. 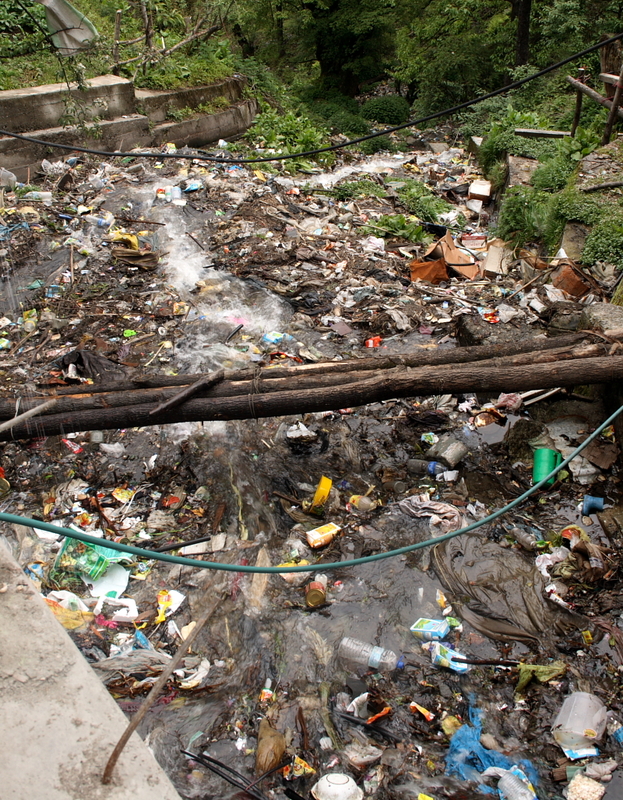 The amount of waste generated in this small village is simply phenomenal and there are no assigned dumping places resulting in garbage dumps all around the village and even in the drains. To start with the Dzumsa did not take this drive seriously as they were not seeing any direct benefit, neither were the locals too keen on cleaning up the mess they had created. On the day of the drive a total of 160 people turned up as the Dzumsa had made participation compulsory for every household. They started of with all the nonsensical formalities at around 8 and by the time people actually started with the cleaning up it was 11, and I was really banging my head in frustration. The progress was pathetic and the manner in which the people were working was quite lax, indeed the school children showed more enthusiasm and were doing a better job than everyone. At around 12.30 they took a tea break which lasted nearly an hour and then around 2.30 lunch was served, post which the drive came to an end. Their attitude towards this entire drive was more like the municipal servants, which really bugged me. In the end I though it quite a farcical exercise, though my colleague Nima thought otherwise. Whatever be the case there is no doubt that much needs to be done over here in terms of waste management and changing people’ attitude towards waste. On the whole my first visit lasting two weeks, was extremely fulfilling and rewarding , making me learn a lot of things especially in dealing with the people. Am eagerly looking forward to my next visit in a day or two. Enjoyed reading. Looking forward to more updates, as well as meeting you in person the next time you are in this part of the world. 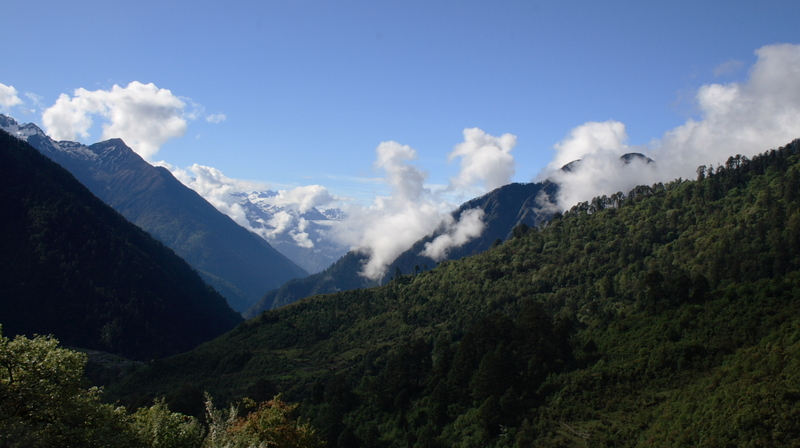 So you’ve finally ended up in Northern Sikkim – what a nice place to live and work! I was wondering if “lonely planet” india edition cover the places u have visited ? Well written and a really good job you are doing….went to south sikkim last year and what a wonderful experience i had. Cleaning up the village is one of the most novel ideas…what i also suggest is how to recycle the stuffs thrown in the garbage and use it..that would make the villagers more interested.